Rittal's New Laser Machining Centre to Revolutionise Control Panel Production at Engineering Firm | Rittal - The System. 2019-01-02. In a “UK first”, Hawarden-based electrical engineering firm, LCA Group, has switched its control panel operations from manual production to end-to-end automation, including laser-machining. The move is expected to transform its productivity and efficiency. With Eplan Propanel software providing integrated 3D-modelling and computer-aided design (CAD) capabilities, the machining centre is programmed to manage measuring and machining to an extremely high degree of accuracy, processing panels in a fraction of the former time. It allows LCA Group to service higher volume orders going forward, as well as rapid turnaround of bulk orders – including next day delivery. “Our investment in this new Rittal Automation Systems machine is incredibly important for the growth of our control panel manufacturing and design business here in the UK,” said Alan Sheppard, Managing Director of LCA Group. LCA Group’s control panels are used across a range of industries including nuclear, food manufacturing, power generation, water and utilities, oil and gas and pharmaceutical companies. “This new Rittal Automation Systems machine gives us capabilities that are way ahead of the curve on our competitors in the UK,” added Alan. “Combine that with our new 3D CAD capabilities and we are immersing our customers in the design and build process like never before. They literally fly in and fly out of the designed products we build, and we can deliver them to their door within days. Heath Grant, Rittal’s Area Sales Manager, advised, “LCA Group’s experience demonstrates how Rittal’s value chain can automate the whole process of panel building and design. 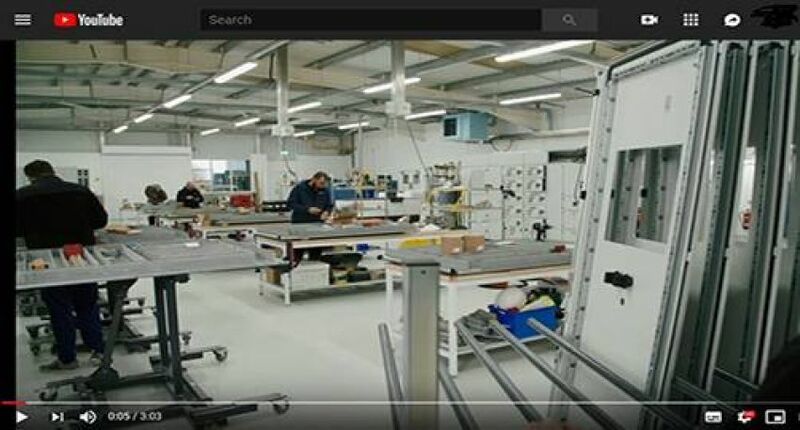 “We’re really keen to encourage UK companies to adopt technology which is revolutionising panel building and electrical engineering across the world. “When it comes to processing panels, machining centres from Rittal Automation Systems, are light years ahead of the alternative, manual approach. They speed up processing by as much as 66 percent compared to the traditional hand-tooled method. “Our online Return on Investment (ROI) Calculator shows how quickly the machining centre will take to pay for itself and we expect customers to be pleasantly surprised by what they find! Further information is available at www.rittal.co.uk, https://www.youtube.com/watch?v=7d27sUtLL0U, and www.friedhelm-loh-group.com or on twitter @rittal_ltd.